My first encounter at “Robots,” a new exhibition at the Science Museum in London, was with an animatronic baby. It is unquestionably life-like and perfectly baby-sized, safety-pinned into a crisp white nappy and hanging upright on a wall. Every detail — the latex skin, the mat of baby black hair — seemed as realistic as a Ron Mueck sculpture. The left arm rose slowly, the mouth half-open, the eyelids flickering into a squint. I studied it intensely, half expecting a response — a cry, a gurgle — but without any desire to rescue the baby from the wall and cradle it. Side on, it was unmistakably a machine. An umbilical cord of shiny metal tubing fed into its spine. “Robots” is as much about culture as it is about science. It answers a deceptively simple question that has been pondered for the last 500 years: How do we design robots we can happily interact with? 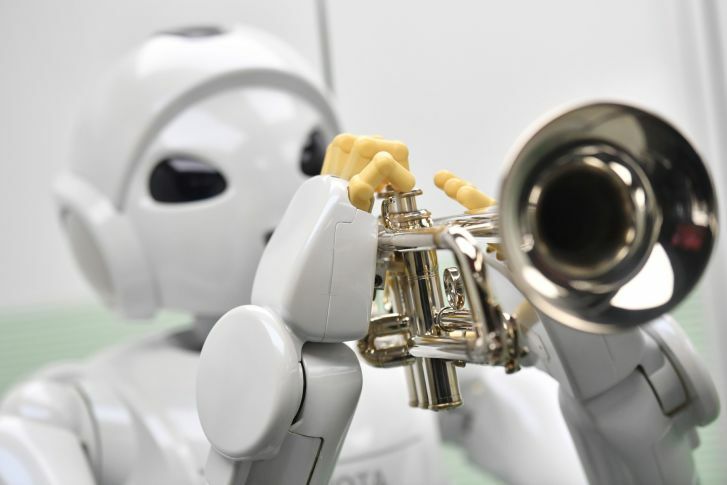 The question has become increasingly topical as humanoid robots multiply in the lab, with some likely to end up in our homes, schools, universities and clinics, as well as theme parks and museums. Why do we design robots to look like humans? “We like to anthropomorphize. We are the only species who do. 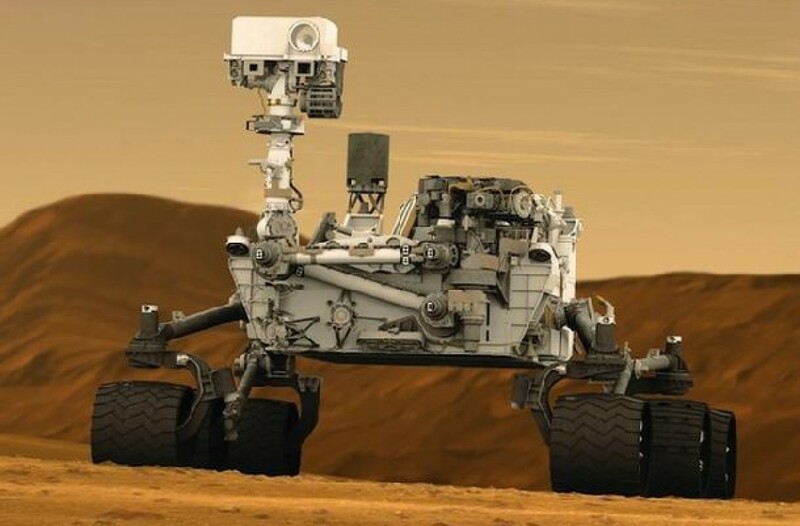 We like to invent objects like us,” he says of the humanoids on display. 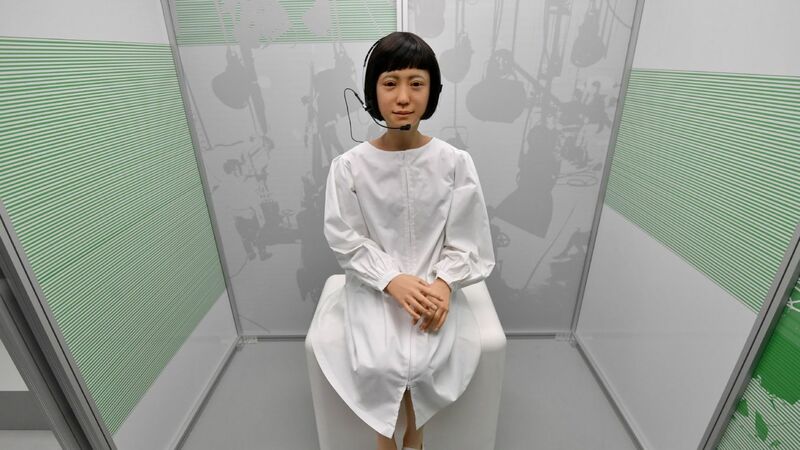 In 1970, a Japanese robotics researcher named Masahiro Mori posited a complex phenomenon known as the uncanny valley. His basic theory was that we respond positively to a robot as it becomes more human in look but only up to a certain point. And then suddenly, we are strongly repelled by it. “Robots can reach a point where they become too much like us, are too corpse-like and creepy,” Russell says. The robot appears nearly human, but not quite right. It induces the discomfort of being close to something that is ill, and reminds us of our own mortality. Contemporary robot designers seem to have responded to this challenge in different ways. It’s human in shape, but without any kind of skin or proper face. All the innards are exposed and mimic the inner mechanics of the human body. Motors, cord, kite line and polymorph are substituted for muscles, tendons, joints and bones. Eccerobot reminded me of one of those plastinated human bodies flayed and exhibited by German anatomist Gunther von Hagens, and as such, offered a mechanical anatomy lesson. I didn’t disagree. With a helmet of black hair (almost a Mary Quant bob) and dressed immaculately in white smock and ballet flats, she seemed unnervingly real and yet also like a shop mannequin come to life. As with the animatronic baby, I examined her intensely. She too wasn’t quite right. Her job, back in Japan, is to read the daily news at the National Science Museum. According to Russell, the Japanese have embraced robots culturally more than any other country. 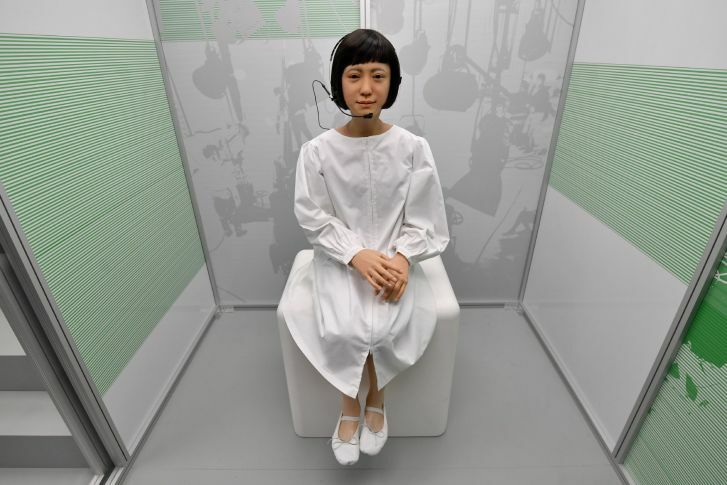 In fact, about a third of the robots in the exhibition are from Japan. Russell draws a connection with Japan’s dominant Shinto faith, in which there is no large between humans and inanimate objects. The sun, the moon, mountains and tree all have their own spirits or souls. Telenoid (2013), developed at Osaka University, is a communication robot, glistening white and bald with tapering limbs devoid of hands and feet. A child, operating it remotely by computer, can use it to communicate with someone in another country. 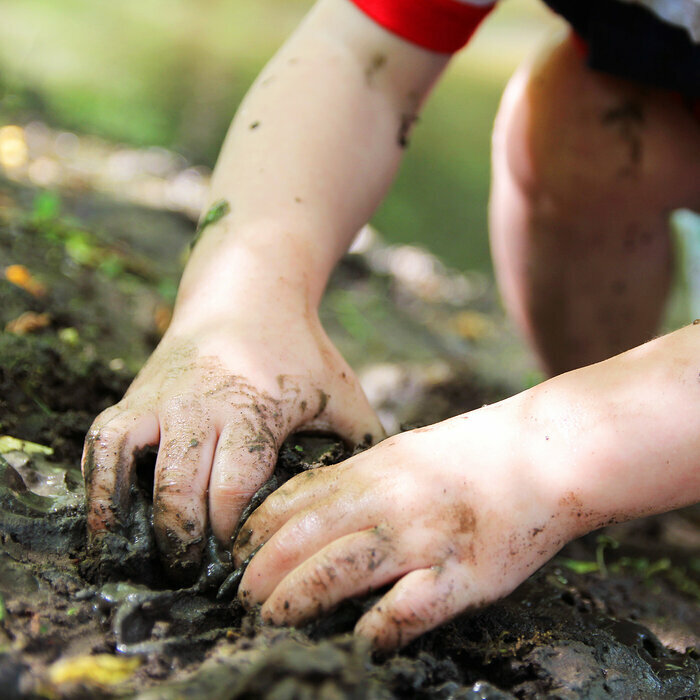 The claim is that Telenoid reproduces in a physical form the child’s movements and personality, as well as the voice. In trials, people have apparently been happy to talk to and cuddle the robot. They speak of the warmth of feeling in Telenoid’s eyes. Conversely, robots are often seen as a threat in the West, and we’re still trying to overcome our suspicions. The drama was set in a factory manufacturing humanoid robots from synthetic organic material. The robots rebel and wipe out the human race. However, American robotics designer David Hanson has chosen not to worry about unnerving us and is already designing robots of uncanny realism with artificial intelligence and empathy, facial expression and the ability to chat. I was disappointed not to meet one; Hanson’s robots aren’t on display at the Science Museum. “Robots” is on at the Science Museum in London until Sept. 3, 2017. Gitanjali Rao, 11, says she was appalled by the drinking water crisis in Flint, Mich. — so she designed a device to test for lead faster. She was named “America’s Top Young Scientist” on Tuesday at the 3M Innovation Center in St. Paul, Minn. 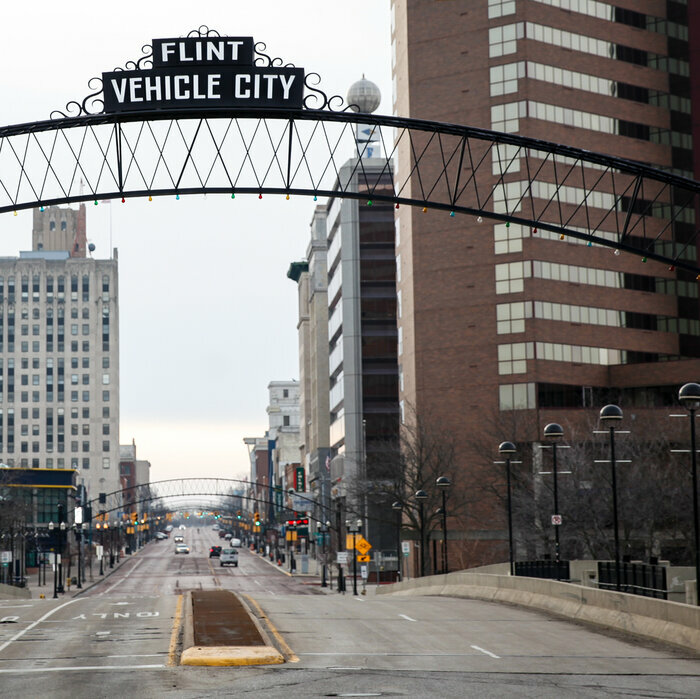 When the drinking water in Flint, Mich., became contaminated with lead, causing a major public health crisis, 11-year-old Gitanjali Rao took notice. She saw her parents testing the water in their own home in Lone Tree, Colo., and was unimpressed by the options, which can be slow, unreliable or both. “I went, ‘Well, this is not a reliable process and I’ve got to do something to change this,’ ” Rao told Business Insider. Rao tells ABC that while she was doing her weekly perusal of MIT’s Materials Science and Engineering website to see “if there’s anything’s new,” she read about new technologies that could detect hazardous substances and decided to see whether they could be adapted to test for lead. She pressed local high schools and universities to give her lab time and then hunkered down in the “science room” — outfitted with a big white table — that she persuaded her engineer parents to create in their home. 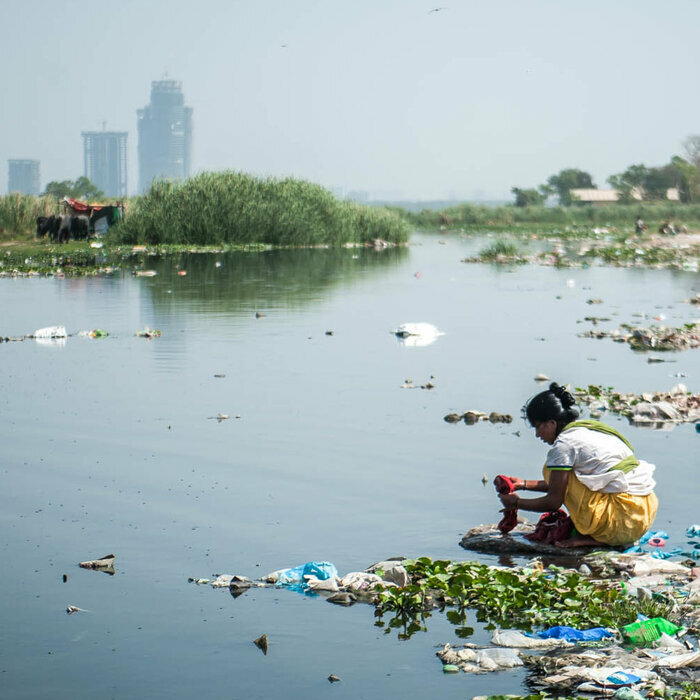 And she set about devising a more efficient solution: a device that could identify lead compounds in water and was portable and relatively inexpensive. 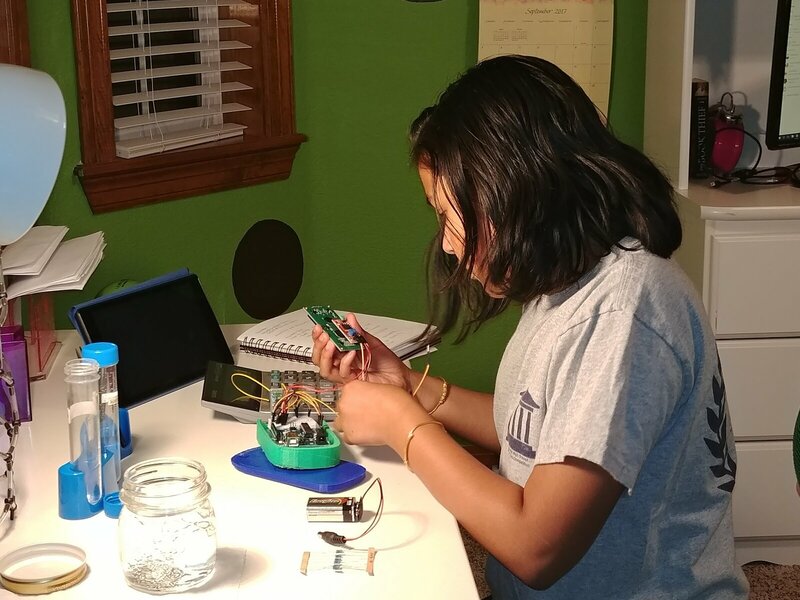 As she explains at lightning speed in her video submission for the Discovery Education 3M Young Scientist Challenge, her device consists of three parts. There is a disposable cartridge containing chemically treated carbon nanotube arrays, an Arduino-based signal processor with a Bluetooth attachment, and a smartphone app that can display the results. The carbon nanotubes in the cartridge are sensitive to changes in the flow of electrons. Those tubes are lined with atoms that have an affinity to lead, which adds a measurable resistance to the electron flow. When the cartridge is dipped in water that is clean, the electron flow doesn’t change and the smartphone app shows that water is safe to drink. But when the cartridge is dipped in contaminated water, the lead in the water reacts to the atoms, causing resistance in the electron flow that is measured by the Arduino processor. The app then shows that the water isn’t safe to drink. Rao dubbed the device Tethys, for the Greek goddess of fresh water. To make her device, Rao pressed local high schools and universities to give her lab time and then hunkered down in the “science room” — outfitted with a big white table — that she persuaded her engineer parents to create in their home in Lone Tree, Colo. 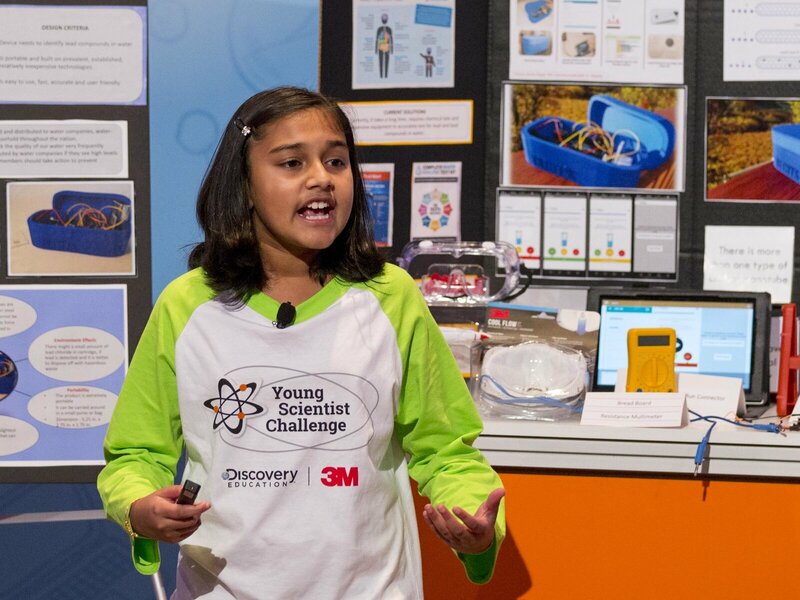 Her solution was so ingenious that this week, Rao was named “America’s Top Young Scientist” in the Discovery Education 3M Young Scientist Challenge — a distinction that comes with a check for $25,000. For the past three months, Rao and nine other finalists in the competition had been paired with scientists at 3M who helped them work from a theoretical concept to a physical prototype. Rao was matched with Kathleen Shafer, a research specialist who develops new plastics technologies. Rao plans to save some of the prize money for college but use the rest to invest in her device to make it commercially viable. Rao says that when she grows up, she would like to be a geneticist or epidemiologist. Her lead detection device allowed her to combine both interests, as contaminated water can cause both rashes and birth defects.